John Schreiner on wine: Rocky Creek's Wild Blackberry for a Duchess? Recently, another Vancouver journalist copied me on correspondence he had had with Camilla, the Duchess of Cornwall. He has gotten into the habit of sending her a birthday card, having discovered that the Royal Family often responds with a card of thanks. This year, he included a gift, a copy of my 2011 book, John Schreiner’s BC Coastal Wine Tour Guide. The Duchess replied that she would study the book (as unlikely as that seems to me). A gift with more impact would be been a bottle of blackberry “port” – considered by many as the iconic wine produced on Vancouver Island. I believe the Royals have been known to enjoy a drop, although probably not fortified blackberry wine. So for next year, I would recommend sending a bottle of Rocky Creek’s Wild Blackberry. To fill in some background, here is an excerpt on this Cowichan Valley winery from my Tour Guide.The olive trees planted here in 2010 are the latest step on Mark and Linda Holford’s remarkable career path from Sarnia’s refineries to artisanal wine growers on Vancouver Island. Mark Holford, who operates this winery with wife Linda, is the third generation in his family to make wine at home. In 2005, he realized a long-held dream when he turned winemaking into his profession. Linda and Mark, who continues to work as an environmental consultant, soon figured out that small wineries are more profitable with a land-based license (because government takes much less in taxes and charges). In the winter of 2008 they moved to a three-hectare (7½-acre) farm in the Cowichan Valley, on a property almost back to back with Venturi-Schulze Vineyards. In their own Cowichan Valley vineyard, they had planted Maréchal Foch, some of Valentin Blattner’s Swiss hybrids, and almost a hectare (2½ acres) of blackberries. The cultivated blackberries are required by the regulations for land-based wineries, however ridiculous it is to plant more blackberries, given the abundance of wild blackberries on Vancouver Island. Mark has made a trial lot of sparkling blackberry wine and expects to increase that production. 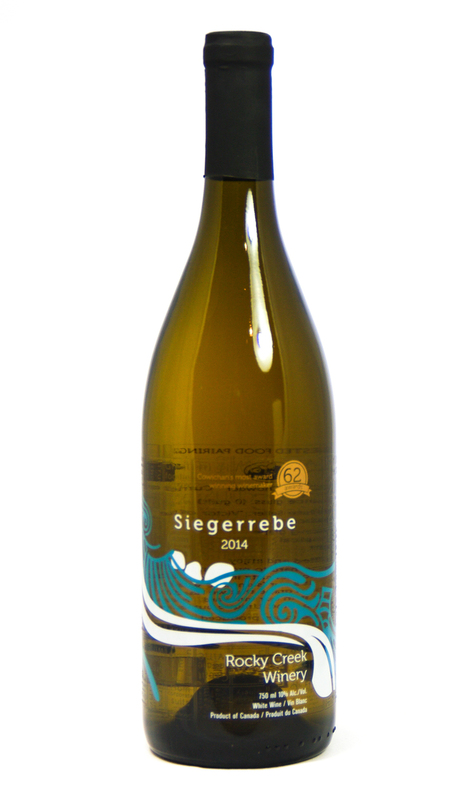 Rocky Creek Winery Siegerrebe 2015 ($20). This wine begins aromas of honey, pear and spice. On the palate, it tastes of lime, grapefruit and lychee with an herbal touch on the finish. The finish is crisply dry. 88. 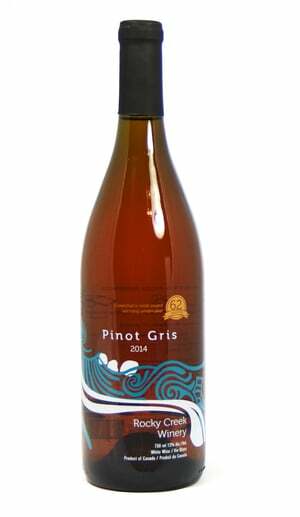 Rocky Creek Winery Pinot Gris 2015 ($20). A short amount of skin time has given a pale salmon hue and accentuated the fruity aromas. On the nose, there are notes of peach, ripe pear and ripe apple. It has tangy citrus flavours and a crisp, dry finish. 88. Rocky Creek Winery Robin's Rosé 2015 ($20). Made with Pinot Noir, the wine presents in the glass with a strawberry pink hue. On the palate, its crisply dry with flavours of strawberry and cranberry. This is modelled successfully on the rosés of Provence. 90. Rocky Creek Winery On The Mark NV ($20). This is a blend of Cabernet Foch and Maréchal Foch, with a touch of Tempranillo. The wine has smoky aromas along with black currant and blackberry; this are echoed on the palate, along with notes of cherry and spice. 88. 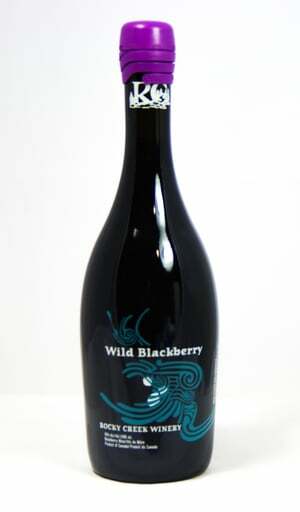 Rocky Creek Winery Wild Blackberry NV ($25 for 500 ml). 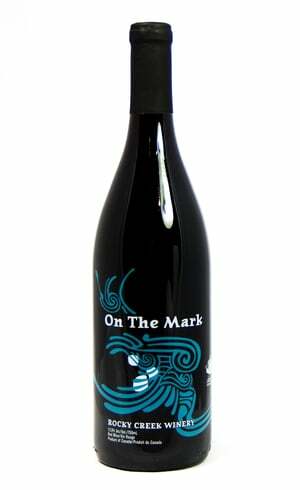 This Port-style wine (16% alcohol) was a double gold winner this year at the All Canadian Wine Championships. It has intense aromas and flavours of blackberries and is rich on the palate. 91.